This moist Pumpkin Chocolate Cake is a delicious alternative to traditional indulgent cake recipes made with refined ingredients. I used healthier dessert ingredients and nutritious pumpkin puree. The inspiration for this dessert came from a Pumpkin Chocolate Cake recipe on the Whole Foods website. I modified a few ingredients and made it into a gluten-free version that my husband could enjoy. He always feels a little sad when I make regular cakes that he can’t eat without serious regret. He’s not allergic to gluten, but his system sure doesn’t tolerate it very well. For all of you gluten tolerant people out there, you can easily substitute the gluten-free flour with regular unbleached all-purpose flour in the recipe. Make this Pumpkin Chocolate Cake even more amazing by topping it off with homemade whipped cream. I love to add a little vanilla, sugar and cinnamon when whipping the heavy cream for a nice fall-inspired flavor boost. This recipe is definitely a keeper! Another epic option is frosting with Maple Cream Cheese frosting. Simply heaven. I promise you that this cake is amazing all by itself with a little dusting of powdered sugar on top. How about a cup of coffee and a warm slice of this moist pumpkin chocolate cake?! This pumpkin chocolate cake would be the perfect ending to a holiday meal. What is your favorite dessert to make for the holidays? Does it involve chocolate?! I’ve decided that it’s really hard to go wrong with anything chocolate when it comes to serving guests and holiday entertaining. Chocolate is life. Preheat oven to 350°F. Grease an (8-inch) square baking pan with oil, dust with a little extra flour and set aside. In a large bowl, whisk together flour, cocoa powder, cinnamon, pumpkin pie spice, baking powder, baking soda and salt. In a separate bowl, whisk together melted butter, coconut sugar, maple syrup, kefir, eggs, pumpkin and vanilla. Whisk flour mixture into pumpkin mixture until well combined then transfer batter to prepared pan. Bake 40 minutes or until the cakes pulls away from the sides of the pan and a toothpick inserted in the center comes out clean. 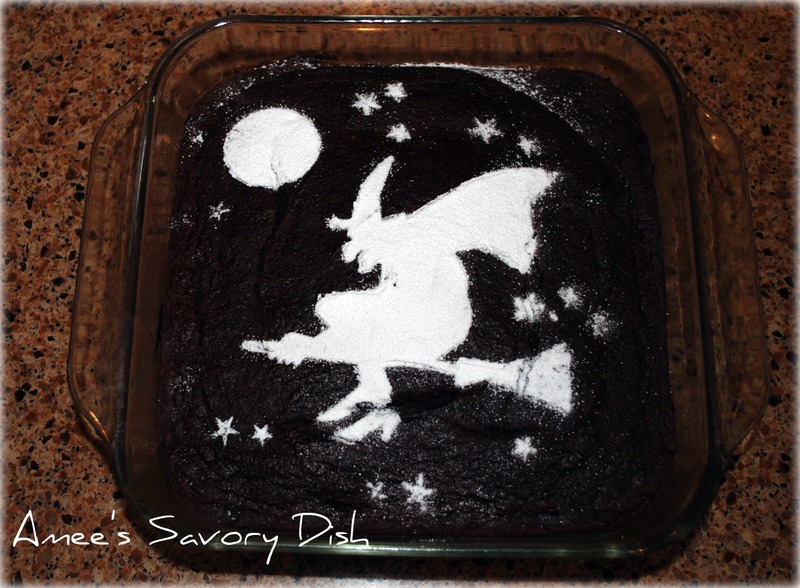 Set aside to let cool then cut into squares and dust with powdered sugar, or top with whipped cream or frosting. This chocolate pumpkin cake looks delicious! I was just talking with my boys about what kind of pumpkin treats we should bake this holiday weekend!